A 29- year-old man, Yahya Saifullahi, was recently arrested by Immigration officers at the Malam Aminu Kano International Airport with 870 ATM cards and two bank internet tokens. The suspect arrested aboard Ethiopia Airways’ Flight No ET 940 with Passport No. A06694052 was said to be on his way to Dubai. A member of the presidential task force on money laundering and illegal movement of foreign currency, Tukur Ibrahim, informed Vanguard that Immigration operatives at the airport arrested the young man in his late 20s when he was singled out for scrutiny. 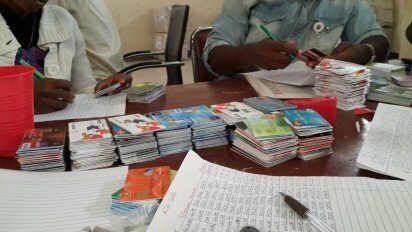 While noting that the suspect concealed the ATM cards under his groin, Tukur gave the breakdown of seized ATM cards as Ecobank, 24; GT Bank, 118; Access Bank, 170; Diamond Bank, 71; Sterling Bank, three; Keystone Bank, nine; Skye Bank 34 and UBA Plc, eight. 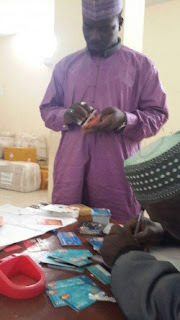 According to the Immigration official, other confiscated ATM cards also include Wema Bank, three; Zenith Bank, 20; Heritage Bank, 21; Standard Chartered Bank, 10; First Bank, 42; Union Bank, 26; Stanbic IBTC, 30; Unity Bank, 45; Fidelity Bank, 40 and FCMB, 196. Tukur Ibrahim revealed that the suspect had since been handed over to the EFCC for further investigation and prosecution.